This is a text for an introductory astronomy course. It presumes that most of its readers are not science majors and that they probably have not had a college-level science or mathematics course. 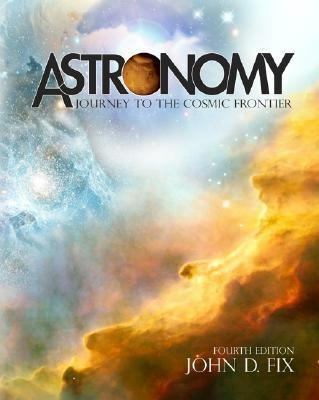 The book provides a complete description of current astronomical knowledge. Finally, the historical development of astronomy is emphasized to show that astronomy, like other sciences, advances through the efforts of many scientists, and to show how present ideas have been developed.Fix, John D. is the author of 'Astronomy Journey to the Cosmic Frontier', published 2005 under ISBN 9780073040783 and ISBN 0073040789.